More ghostly goings-on at Limbo School. Who knew that being dead would be so much drama? Lucy’s English class is working on a Shakespeare comedy, but so far it’s more like a total tragedy. First Lucy gets cast in the role of a rotten guy, while her best friend Cecily gets to be the cool female lead. Plus, all of Lucy’s lines are in the same scenes as the awful Georgia Sinclaire. 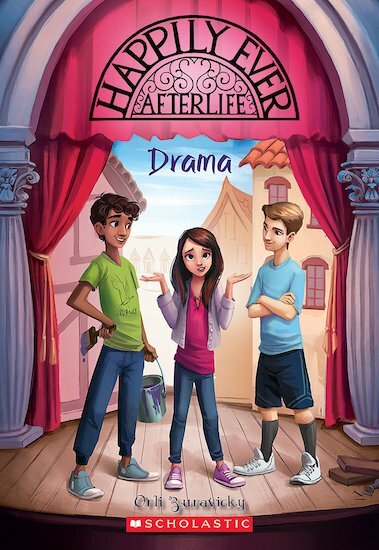 And when Lucy finds herself torn between her crush, Colin, and intriguing ghost-boy Miles, the plot gets complicated enough for Shakespeare himself! Will a ghostly new power help Lucy fix things before the curtain goes up? Geronimo Stilton Heromice #1: Mice to the Rescue!